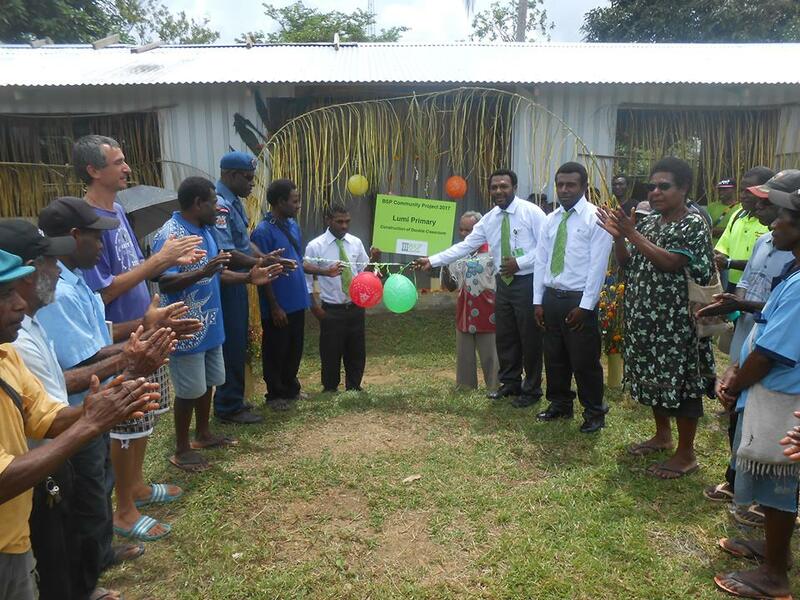 Students of Lumi Primary School in Aitape, West Sepik Province will be looking forward to start school in the New Year, thanks to Bank South Pacific (BSP) Aitape who assisted in the construction of a double classroom. The BSP team handed over the completed project to the School on 21st of December, 2017 which was seen as an early Christmas present. The double classroom was constructed by BSP Aitape staff within 10 months, in which the project started in early February, 2017. Mr Wafimbi also thanked all the BSP staff who put in their time and effort to ensure the students at Lumi Primary school had access to this very vital infrastructure for the start of a new academic year. He also made special mention to the local contractor for the great assistance. The project included the clearing of the project site, transporting building materials, the actual construction of the double classroom and loading gravel from the river to the construction site. Lumi Primary School Chairman, Mr Greg Ouke, thanked BSP for choosing the school and said, “This will really boost the morale of both the students and teachers and accommodate for effective learning to take place.